Milk quality and valuable income are lost because over 800,000 smallholder Kenyan dairy farmers have no refrigeration to store their milk. As a result, over 60 percent of milk in Kenya is not processed and much of it spoils because farmers have no access to grid electricity or cannot afford expensive to operate diesel-powered generators. 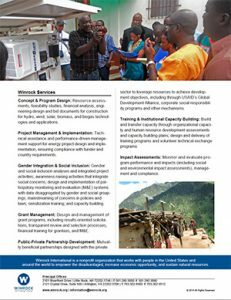 The PV-SMART project is sponsored under the innovative USAID Power Agriculture Energy Grand Challenge program, which is assisted by in collaboration with our technology partner SunDanzer. 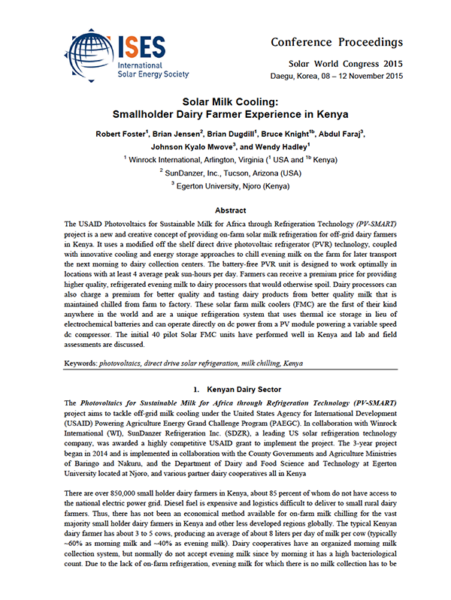 PV-SMART is changing the energy dynamic by pioneering affordable on-farm battery-free solar milk chillers in a first-ever pilot project with project paybacks under 1 year and zero maintenance issues after 2 years. The project also works with local savings and credit cooperatives (SACCOs) to establish financing for the solar milk chillers.